Registration for this event has now closed. If you would like to join the wait list, please email alumni.relations.communities@dartmouth.edu. Join Dartmouth alumni, parents, students, and friends for a day-long symposium marking Dartmouth’s 250th anniversary and exploring its early history and colonial, trans-Atlantic, and Native American connections. All programming from 8 a.m. to 2:30 p.m. will be held at Yeoman’s Hall (with the exception of walking tours), with ample parking available at the nearby Horace W. Porter School. The cost includes all meals and programming throughout the day. Registration is limited to 100. The deadline to register is April 13 (if spaces are still available). Refunds are not possible. Any additional funds will be donated to the Columbia Historical Society. 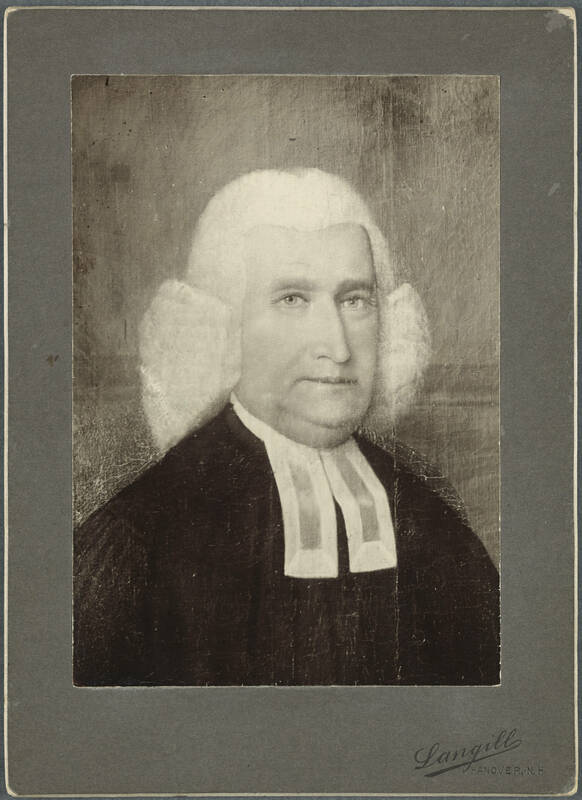 Before founding Dartmouth College in 1769, Reverend Eleazar Wheelock served as a popular and controversial “New Light” evangelical minister in Lebanon’s North Society in Connecticut from 1735 to 1769. A renowned Latin scholar at Yale College, he organized a “Lattin School” in his home as a means to supplement his reduced minister’s salary. 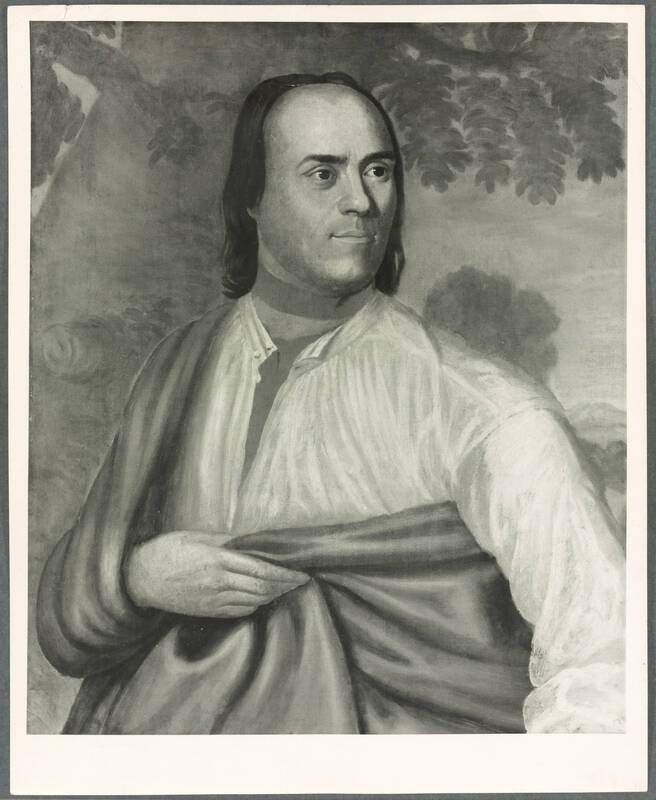 Samson Occom, a young man from the nearby Mohegan community, attended this school from 1743–1747. 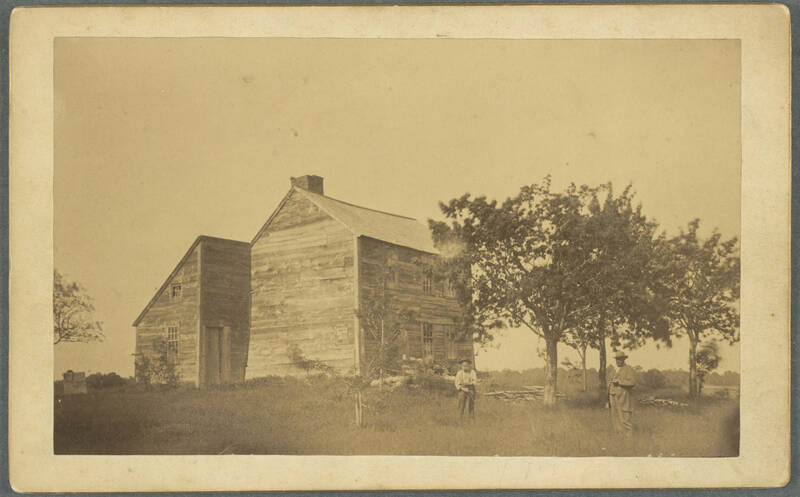 An exemplary student accomplished in English, Latin, Greek, and Hebrew as well as the study of the Gospels, Occom was ordained a Presbyterian minister in Montauk, New York in 1759. 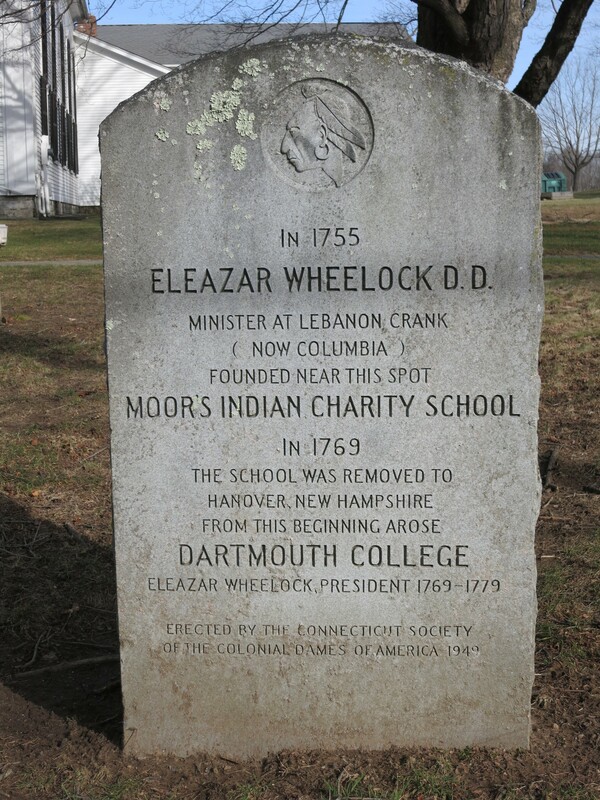 Inspired by Occom’s scholarship and with the support of colonial and overseas subscribers, Wheelock founded Moor’s Indian Charity School in 1755. Dwindling funds prompted Wheelock to find additional overseas support by 1764. To help fundraising in 1766–1767, Reverend Samson Occom preached in England, Scotland, and Ireland. He garnered contributions from 2,169 individuals in 305 English churches (9.497 pounds), and Scottish churches (2,529 pounds) as well as contributions by The London Board of Trust, presided by Lord Dartmouth (55 pounds); King George III (200 pounds); and others, amounting to approximately $1.9 million. This legacy went toward the founding of a brand-new college and an Indian Academy in December 1769, later renamed Dartmouth College in the Province of New Hampshire. The day-long event will feature talks by Colin Calloway, Dartmouth's John Kimball, Jr. 1943 Professor of History and Professor of Native American Studies; Walter Woodward, Associate Professor of History at the University of Connecticut, Connecticut State Historian, and descendant of Eleazar Wheelock; and Nonner Faith Damon Davison and Beth Regan of the Mohegan Tribal Nation's Council of Elders. We will probe the intricate accounts of Wheelock and his famous student Occom, the challenging times in which they lived, and how their lives intersected. 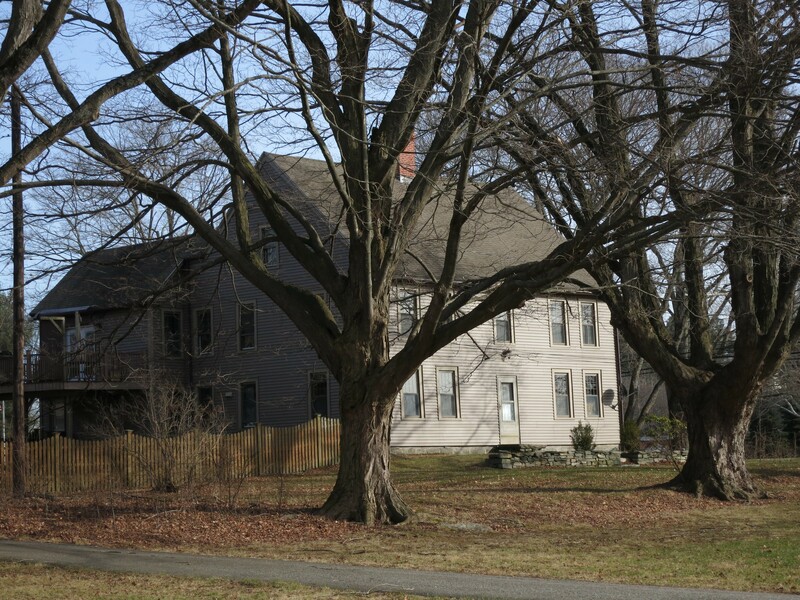 The day’s events will include a brief walking tour of Columbia Green Historic District, where we will see the site of Reverend Wheelock‘s early “Lattin School,” the family home where Occom lived, and the Old Yard Burying Ground where Wheelock’s first wife and two infant children are buried. 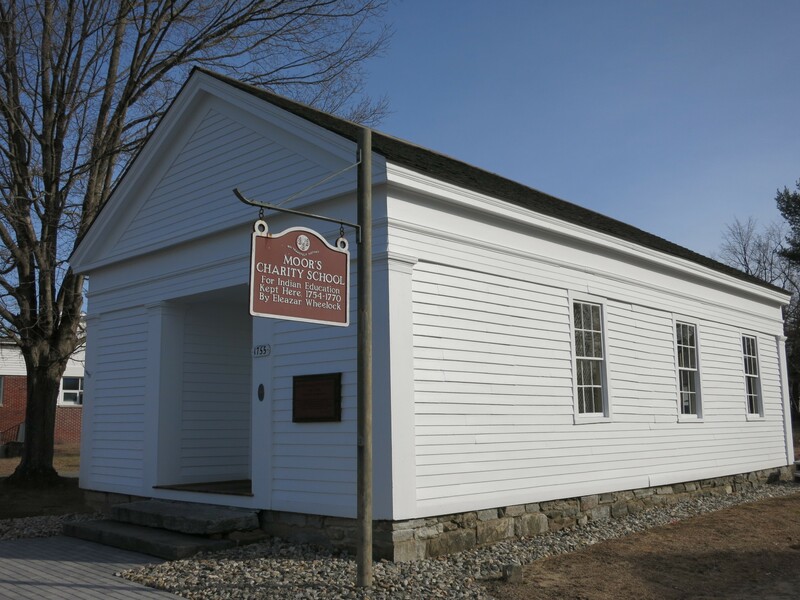 We will also visit the schoolhouse that served as Moor’s Charity Indian School in 1755–1769 and enjoy a performance by a drumming/dance ensemble from the Mohegan Tribal Nation. The day will conclude with a closing reception at nearby Heartstone Winery. The organizers have arranged a block of rooms at the Mohegan Sun Hotel and curated information about other local hotels and local attractions in Connecticut. Please note that the room block will only be held until April 5, 2019. Questions? Contact Sara Burbine Potter '91. The event is organized by the Dartmouth Club of Eastern Fairfield County, the Native American Alumni Association of Dartmouth (NAAAD), Columbia Historical Society, and the Town of Columbia, Connecticut. Special thanks are due to guest speakers Professor Colin Calloway, Professor Walter Woodward, Connecticut State Senator Cathy Osten, Connecticut State Representative Tim Ackert, and the Mohegan Tribal Nation.